Need to create buzz for your business? Use PRWeb, the world's #1 news release service. 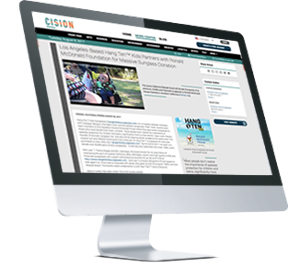 Use the power of the industry’s #1 News Release service to gain online visibility for your news. With PRWeb, you can make sure your news is easily found online on all major search engines, thousands of news sites and by 30,000 journalists and bloggers, as well as more than 250,000 PRWeb newsfeed subscribers. We distribute your news and put your business in front of millions of potential customers searching online for products and services just like yours. Register for your FREE account to begin! Get your news out in 3 easy steps. Write an announcement about your business. It could be a product or promotion, a sale or a new location, a customer survey, or any other newsworthy story. Turn your news release into a search marketing asset with PRWeb. Add keywords to target your ideal customers on search engines. Include a video and photos to attract more attention. PRWeb will deliver your story to every major search engine, national news sites, and 30,000 journalists and bloggers — generating visibility and buzz for your business. Submit your story and we do the rest - it's that easy. PRWeb gets your news straight to the search engines that everyone uses, like Google, Yahoo and Bing. PRWeb's search engine friendly releases mean that people will find your business more easily. PRWeb gets your story onto major news sites like Google News. We also distribute your news release to more than 250,000 subscribers and as many as 30,000 bloggers and journalists. PRWeb is one of the easiest ways to boost your visibility online because we use search engine-friendly releases. You can include images, videos and attachments in your PRWeb releases, which can make it easier for prospects and customers to find your content online. The world's #1 news release service.